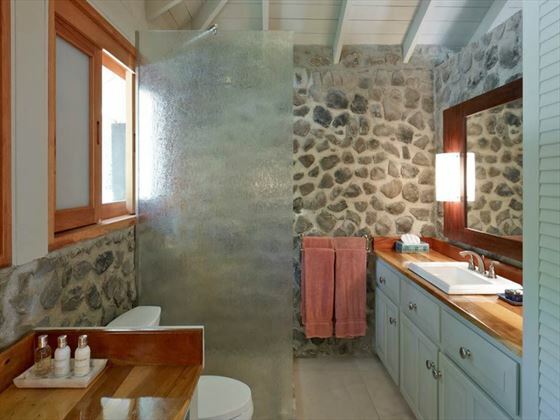 With no roads, telephones or TV, the intimate island strives to offer guests the opportunity to fully relax in one of 22 spacious island cottages, nestled in 113-acre landscape with exquisite views of the beach and surrounding island landscape. 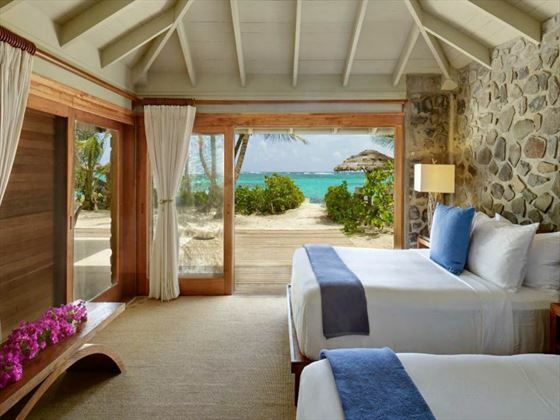 The lack of technology leaves you to fully enjoy the sugary white sands and immerse yourself in the tranquil island lifestyle. 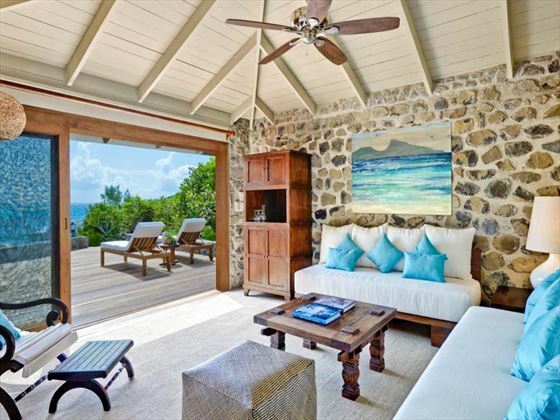 The cottages adopt a rustic-luxe vibe, with spacious seating areas, and wooden sundecks looking out onto beautiful exotic views. 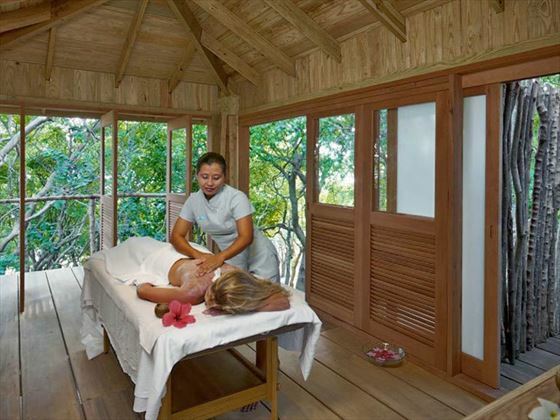 Your private hammock is the perfect place to relax with a book, before venturing along to the Hillside Spa to be pampered with a massage or facial in the luxurious surroundings. Spend your days enjoying a few exciting water sports, or soothe your mind, body and spirit with a yoga class on the serene yoga pavilion. No matter how you spend your day, we're certain you'll work up an appetite. The Main Pavilion Restaurant presents an elegant dining experience and fresh menus overlooking the harbour. Alternatively guests can eat in their cottage getting the attention of staff via a unique flag system to get attention. The al fresco Beach Restaurant serves lunches and evening cocktails under thatched roofs on the sand beach, right at the water’s edge. 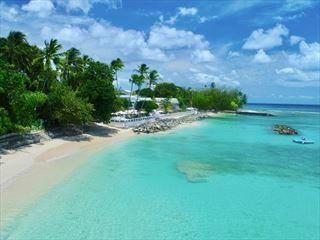 On the West End Beach, a point of quiet relaxation and seclusion, the beach barbecue area hosts weekly feasts of fresh seafood and lobster in particular. 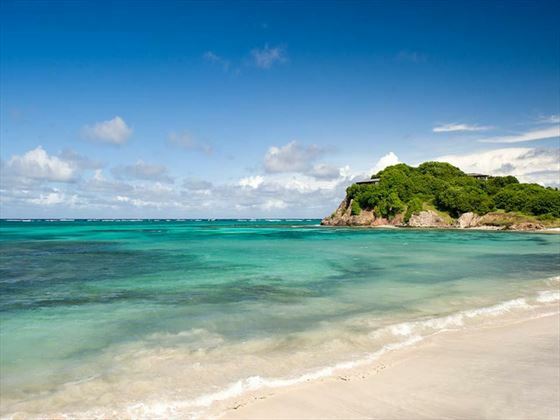 Petit St. Vincent is a unique experience, feeling as if you own your very own (fully staffed) Caribbean island. 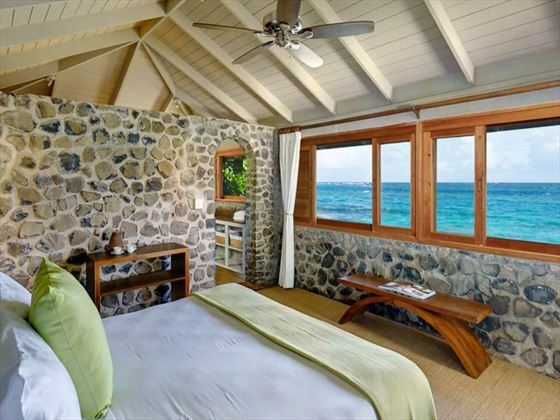 One Bedroom Cottage – There are 16 one bedroom cottages, featuring a separate bedroom, remote locations overlooking the island or the beach, and natural furnishings. The cottages purposefully do not have telephones, TVs or WiFi, allowing you to escape from modern life and enjoy the island as is. 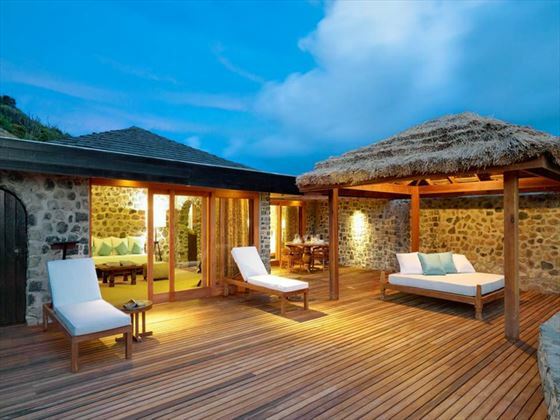 Two Bedroom Villa – These six gorgeous villas offer understated luxury, with exposed stone walls and a wooden deck opening out onto the beach. The master bedroom has a king size bed, and the second bedroom has two queen size beds. 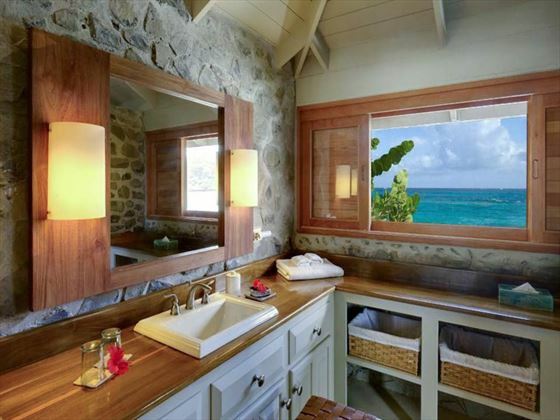 Again, the villas have no technology, to give you that lovely castaway feeling. The Main Pavilion Restaurant – Overlooking the azure ocean and tropical flora, this is the perfect backdrop for dining on deliciously fresh, organic produce picked from the hotel’s own garden. Succulent meats and seafood are paired with delightful vegetables and fruits, ending with a decadent desserts – we’ve recommend trying the rich chocolate tart infused with rum. 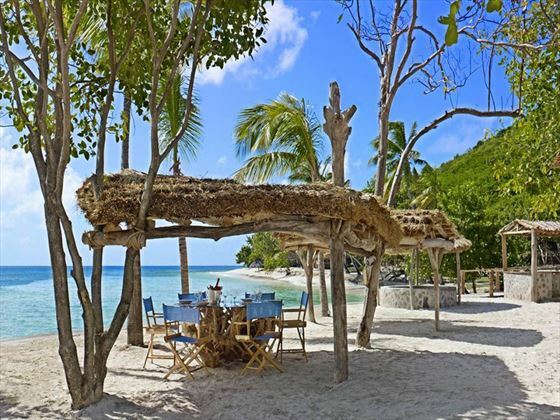 Beach Restaurant – Sink your toes in the sand and listen to the gentle waves as you take shade under a large grass thatched roof, tucking in to a la carte Caribbean cuisine and comfort food favourites. Fresh lobster, sumptuous burgers, fruity pineapple, and a refreshing cocktail to wash it all down…delicious. 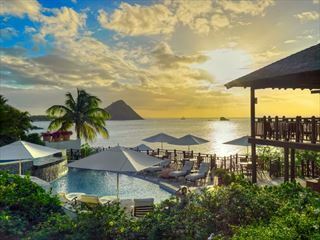 Goatie’s Bar – Nestled adjacent to the Beach Restaurant, this is one of the best places to watch the sun go down, all the while relaxing on comfy sofas and drinking signature rum punches. 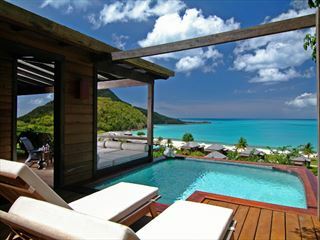 Barbecue – The hotel’s cool weekly barbecues offer a fun evening of grilled delights and starlit skies. In Room Dining - Alternatively, guests can dine in their cottage using a unique flag system to attract the attention of the waiting staff who will deliver your order directly to your room at no additional charge.